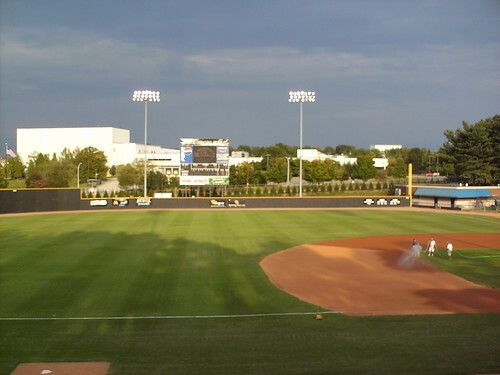 The view from behind home plate at Couch Ballpark. 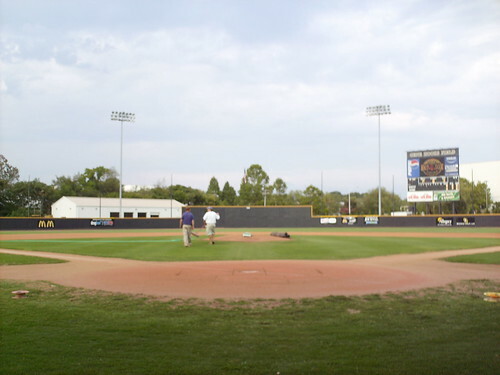 The field was built in 1956, and was home to Winston-Salem's Carolina League team until a new ballpark was built for the 2010 season. The view from down the first base line. 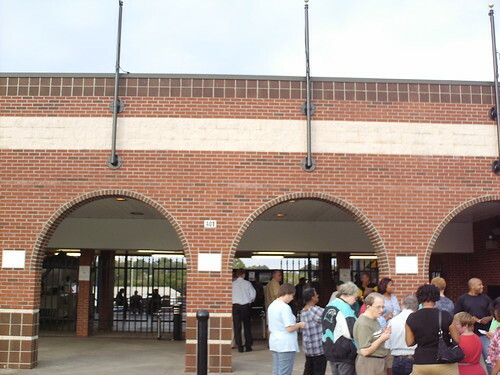 The Wake Forest football stadium stands behind the grandstand. 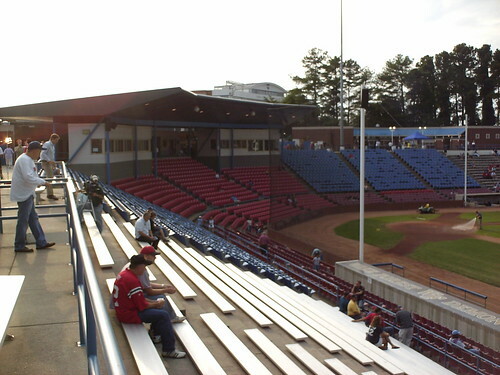 The grandstand at Couch Ballpark. 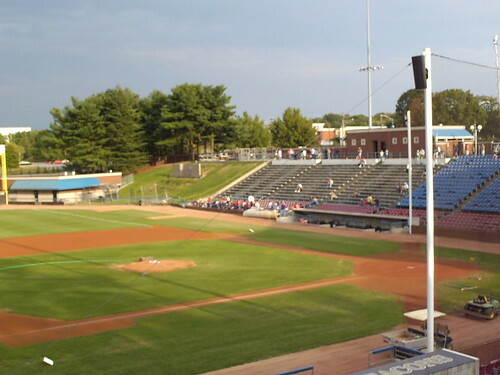 The pressbox is split in two so fans on the concourse can see the view from directly behind home plate. The seating bowl is carved out of an existing natural hill, so the seats are at a steep angle. 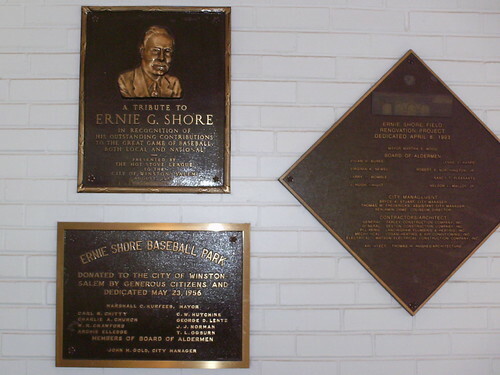 Couch Ballpark was known for 52 years as Ernie Shore Field, named for the former Red Sox pitcher and local baseball supporter. 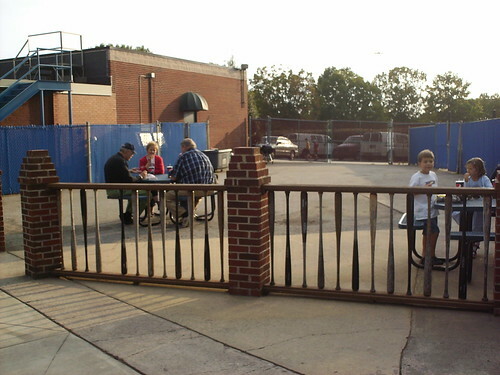 The fence surrounding the concourse pavilion areas are made from old baseball bats. 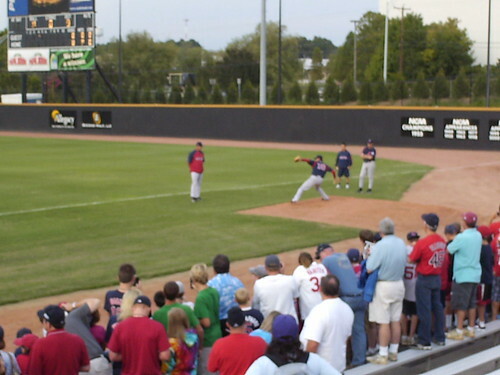 Daisuke Matsuzaka warming up before a rehab start with the Salem Red Sox in 2009 at Couch Ballpark. 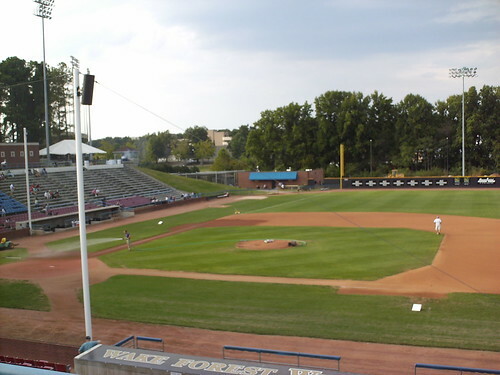 From 1961-1984 the then Ernie Shore Field was home to the Winston-Salem Red Sox of the Carolina League.